This book provides readers with a unique opportunity to learn about one of the new regional trade agreements (RTAs), the China–Australia Free Trade Agreement (ChAFTA), that has been operational since December 2015 and is now at the forefront of the field. This new agreement reflects many of the modern and up-to-date approaches within the international economic legal order that must now exist within a very different environment than that of the late eighties and early nineties, when the World Trade Organization (WTO) was created. The book, therefore, explores many new features that were not present when the WTO or early RTAs were negotiated. 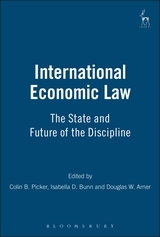 It provides insights and lessons about new and important trade issues for the twenty-first century, such as the latest approaches to the regulation of investment, twenty-first century services and the emerging digital/knowledge economy. 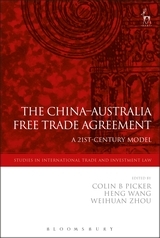 In addition, this book provides new understandings of the latest RTA approaches of China and Australia. 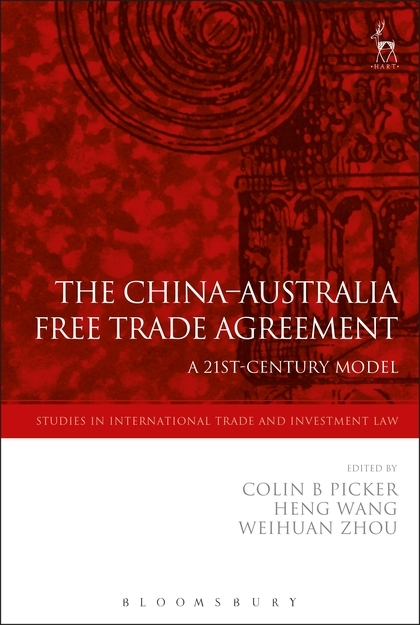 The book's contributors, all foremost experts on their subject matter within this field, explore the inclusion of many traditional trade and investment agreement features in the ChAFTA, showing their continuing relevance in modern contexts. 9. Trade in Education Services under ChAFTA: What does it Mean for Australia? 12. A Comparative Review of the Investor–State Arbitration Clause in ChAFTA from China's Perspective: Moving Forwards or Sideways? 14. E-Commerce in ChAFTA: New Wine in Old Wineskins? Colin Picker is Professor of Law and the Dean of the School of Law at the University of Wollongong in New South Wales, Australia. Heng Wang is Associate Professor at the Faculty of Law, University of New South Wales. Weihuan Zhou is Senior Lecturer at the Faculty of Law, University of New South Wales.